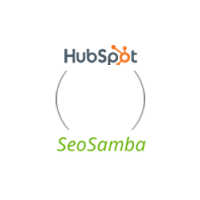 Hubspot vs SeoSamba: who has the best blogging engine? Hubspot started out by making its blog platform the main channel for inbound marketing and lead generation. Loaded with features for blog creation and advice for content optimization, Hubspot is known to generate TMI syndrome (Too Much Information) for many users as the software provides countless SEO tips but leaves implementation to website owners. Hubspot will help unsavvy users get started with quick content development on their site, but the lack of effective automatic optimization tools will merely switch users' time and efforts from design to SEO to achieve meaningful results. 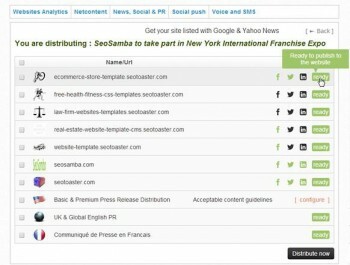 SeoSamba distributes optimized blogs and news posts automatically to websites and social networks accounts in a single click. SeoToaster provides all the benefits of classic blog platforms plus automatic optimization to match Google News and Yahoo News' indexing requirements, and full blown PR distribution network when hooked to SeoSamba's SEO PR distribution services. You can also very easily password protect blog posts, just like any other page or products listing. You don't have to log into seotoaster to moderate comments, instead you receive a comment moderation request via email, and publish or delete comments in one click. In addition, you can transform any page of your site into a blog post, or a hybrid page, and because your blog lives on the same domain than the rest of your website, you reap all the blog writing SEO benefits onto your own domains. HubSpot is a well-rounded blog software integrating lead nuturing and website traffic tools available elsewhere for less money. Moreover - and this might become a serious blocking point for ambitious business owners - that actual optimization is up to users regardless of their expertise level, often driving up content creation costs exponentially. Free and open source, SeoToaster's news and blog system provides a user-friendly interface allowing for extensive customization. Additionnally, SeoSamba's marketing platform performs automatically countless optimization tasks before distributing content to all relevant channels and across any number of websites with one single action. 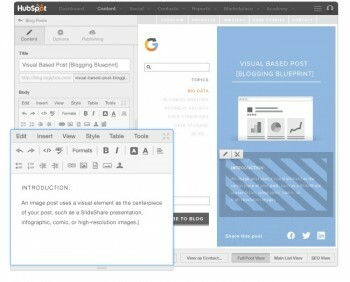 Need more than a simple HubSpot blog?